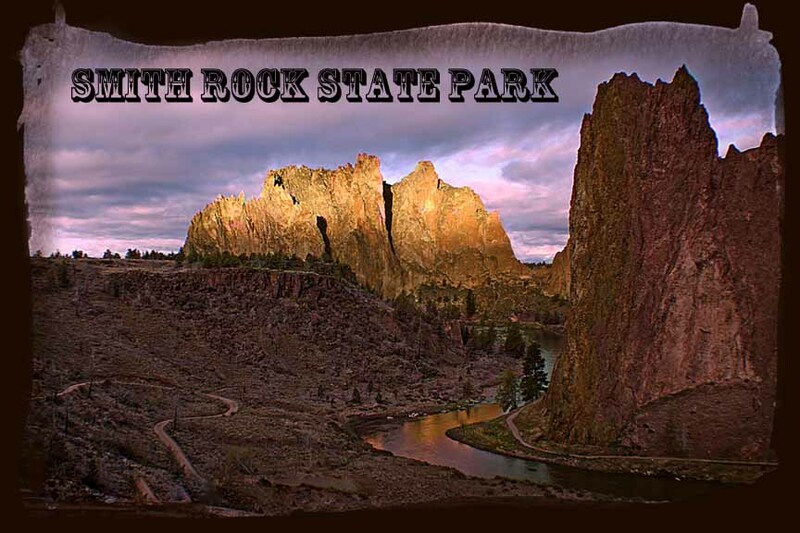 Accessible year round, Smith Rock State Park, one of the gems of Central Oregon, is located 9 miles north of Redmond off of Hwy 97. A world renown-climbing venue, it is the year round favorite for locals and visitors. 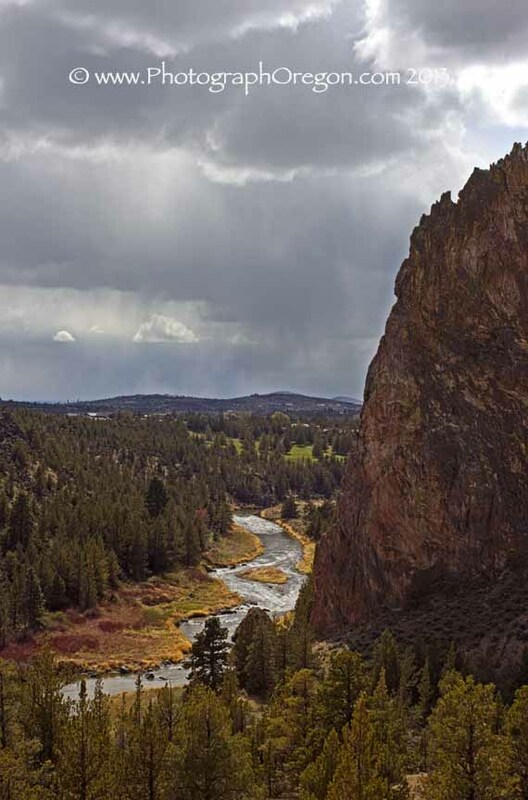 Monolithic rock faces tower above the gorge that is home to the winding Crooked River. It is also the filming location for some of the movie, The Postman, Rooster Cogburn and several others. Sunrise, sunset and whenever the climbers are out, are the perfect times to photograph. Really, it is a place you could go photograph the sunrise, hike the trails all day, have a picnic lunch, photograph the rivers and canyons and catch the sunset. More likely in late September, early October, when sunrise is around 7AM and sunset is around 6:30PM. At the bottom of the page is a link to the weather camera in the park. Even on a "bad day" it's great. This particular morning the skies were overcast but I still got some great color from the canyon. There are several peephole rocks that when angled perfectly, show off the mountains in the distance. At certain times of the year you can capture the sunrise and the moon in the same frame. 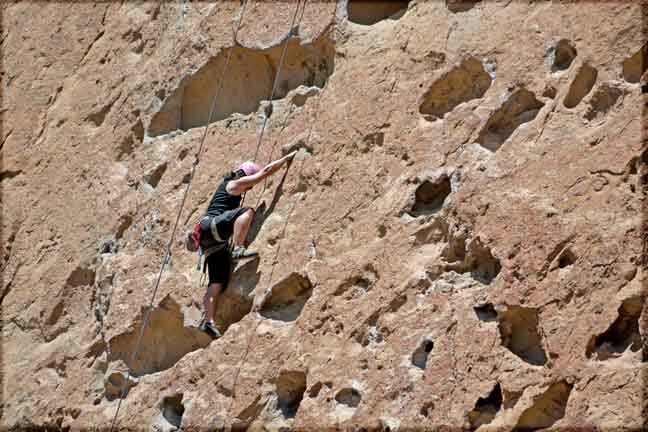 There are many spots on the rock trails that will bring you almost level with rock climbers on the faces of the climbing venues. Really great for photographing them as long as you don’t disturb them. 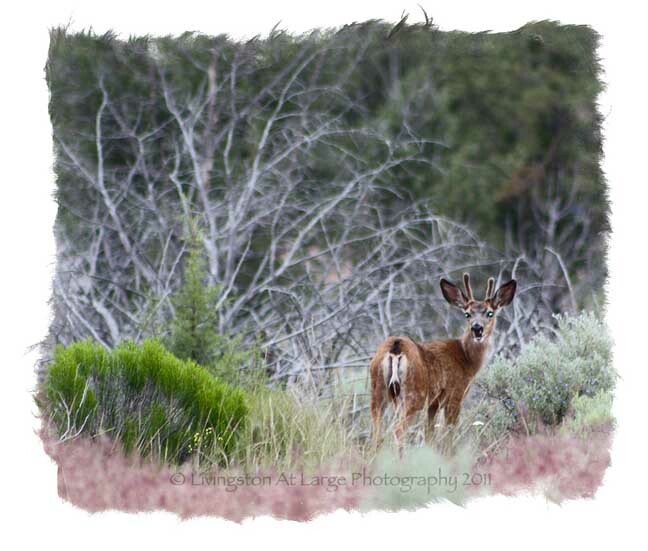 At different times of the year and especially in the late spring (JUNE for Central Oregon) wildflowers are everywhere. Blue flax, Mule ear (they look like sunflowers), and many other colorful flowers. 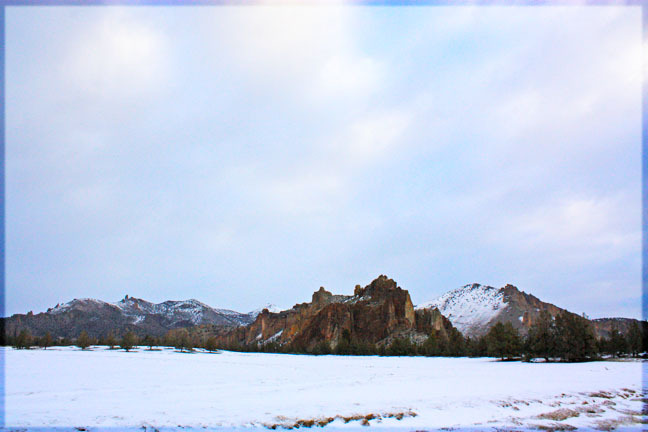 Smith Rock gets much less snow than other parts of Central Oregon, but when it does, it is spectacular. When it snows, beware that the trails, especially at the top, are ICY. I almost fell into the gorge last February. They must have known about people like me as they built a nice rock wall to catch me. This snow shot and the next image were taken from the back side which can be accessed from the road to the west of the park entrance. Much of that area is private property so be sure and shoot from the roads. The Park is open at night and thus availalble for some really awesome night star photography. In this shot the light was supplied by the moon. However, just in case, we had hauled along a flashlight that we got a COSTCO that was the size of a carry on luggage bag. It would have lit the whole canyon should we have needed it! 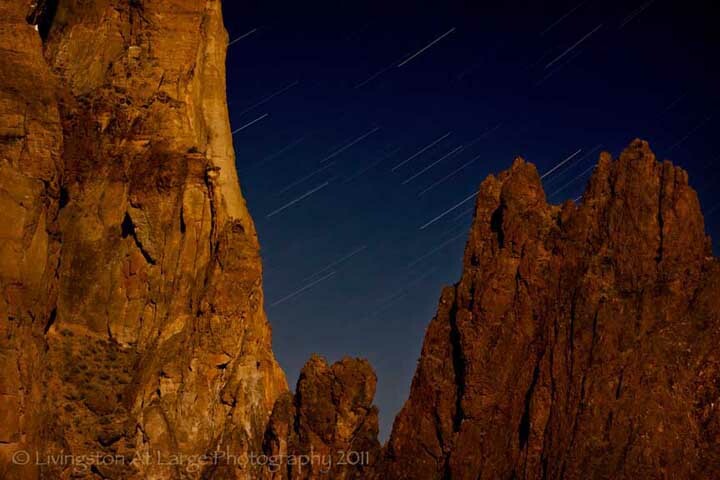 There are several more star shots of the park over on the Night Star Photography page. With all it's lovely color, there is still something to be said for using all that craggy texture in black and white landscape photography. 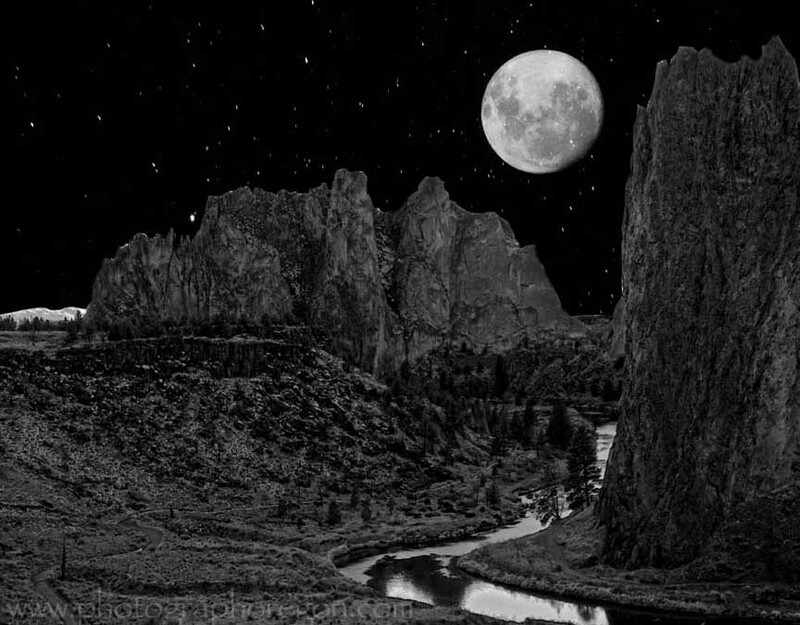 Especially awesome for black and white HDR. Once you own Photoshop and a few random brushes, well, the sky's the limit, literally. 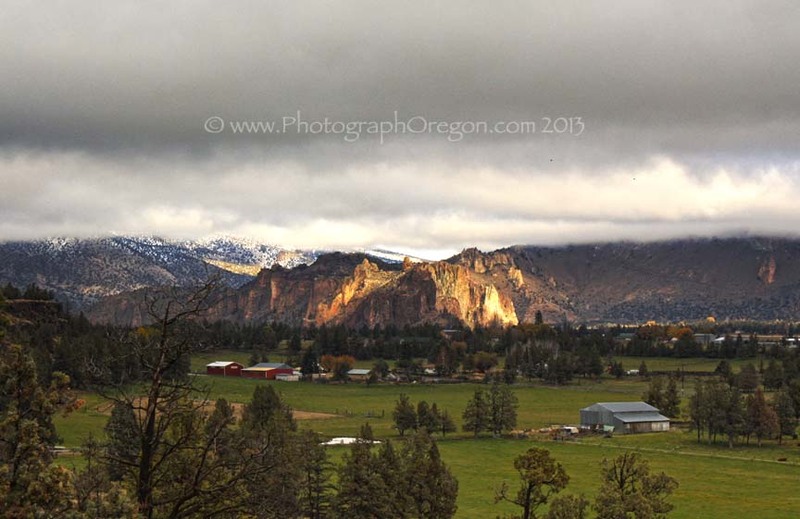 There are many places along highway 97 to get great shots of Smith Rock State Park from afar. The weather can offer some added interest. 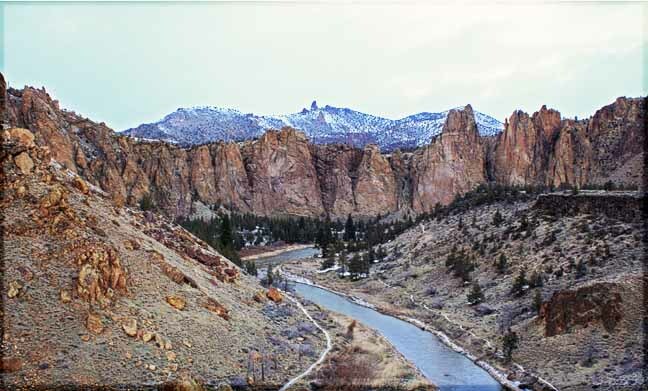 There is abundant wildlife at Smith Rock State Park. Blue Bellied Skinks (a lizard), Mule Deer, river otters, eagles, snakes and other birds of prey and the occasional cougar, bobcat and even bears. Canada Geese nest along the river in the spring (Leave them alone…Safety First). I have only seen the skinks, deer, otters, snakes and geese. 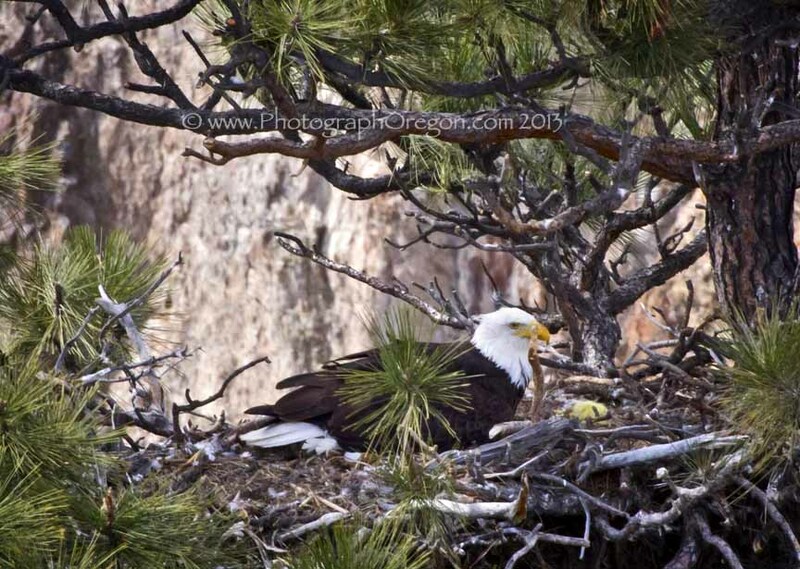 During certain times of the year the eagles nest. There are bald eagles and golden eagles. The park hosts will tell you where they are and if they are accessible for photos. 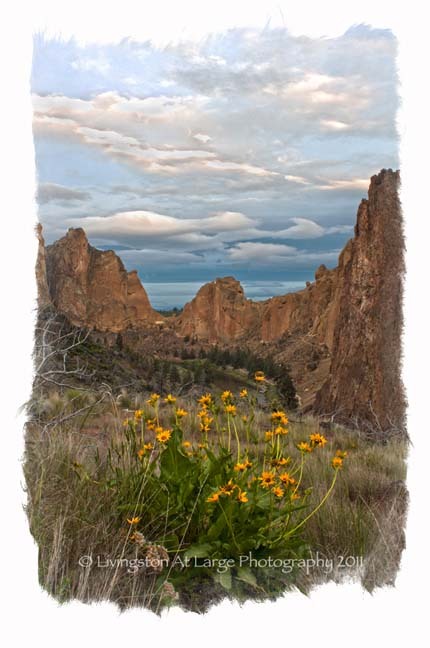 There is a park fee of $5 per day or you can buy a State Park Pass, which is good in all Oregon State Parks. At present that annual fee is $30. If you are paying to camp there, your camping receipt covers your daily fee. 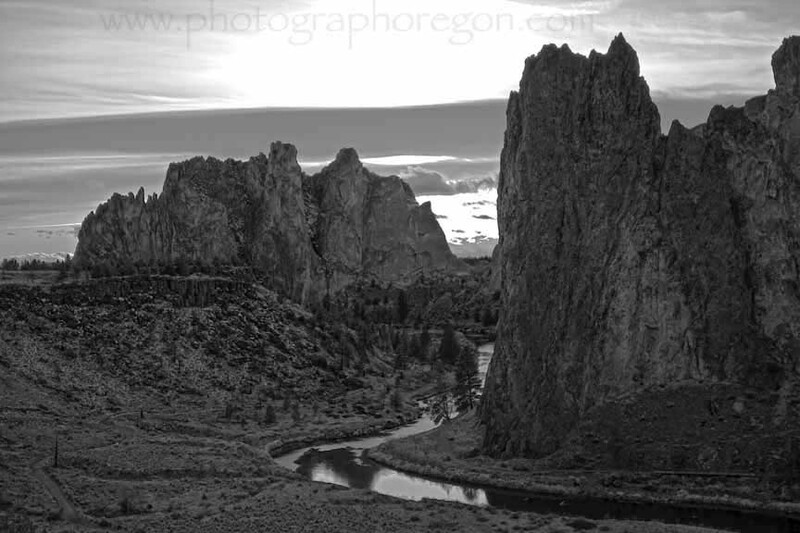 Have some great Smith Rock photos? Please share!